On 1 November, 2016, Christina Hoff Sommers gave a thoroughly predictable speech on the culture of victimhood perpetuated by Mrs. Claus. She claimed that Santa and Mrs. Claus are complete equals in an egalitarian society. The North Pole is the greatest country in the world- one that the whole planet aspires to emulate. The relationship between the Clauses is the epitome of perfection. 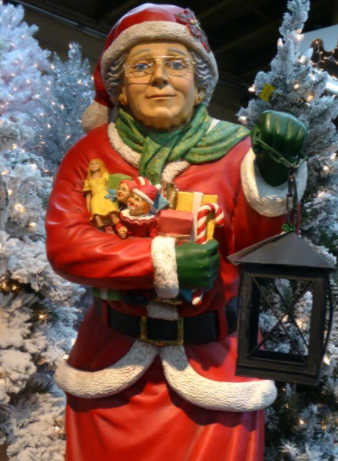 Mrs. Claus’ claims that she is being oppressed by a discriminatory Christmas wage system are thus judged illegitimate. She paints herself as a victim while refusing to acknowledge the fact that she needs to check her privilege. Santa’s workshop is, after all, a safe space.